It can be a challenge to figure out the GM financial process on your own. Our GM financial center is here to help you out and make it simple to pay for your next vehicle. We have many great resources and Chevy finance deals to help you figure out whether leasing or buying your next car is right for you. No matter what you choose to do, we are ready to help you get a great loan or lease for your next vehicle. We do our best to work with our customers to help them navigate the complicated Chevy financing process. We are here to answer your questions and help you fill out the paperwork. 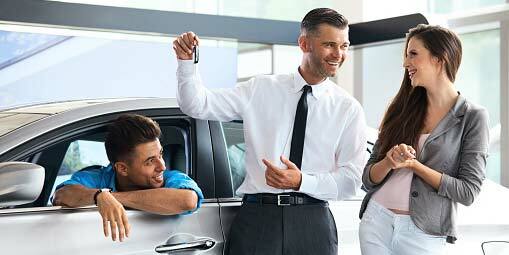 We do our best to help you find a loan that you like and will work with you to help you get into your next vehicle. Customer service is at the top of our list. From finding the right vehicle to provide top-notch Chevy service for the vehicle you choose, we are devoted to the drivers who choose our dealership in Oconomowoc. One area where we take pride in is our Chevrolet financing process. We work to get you a great deal on the vehicle you want, making it easy to manage your auto loan payments. We don’t want you to drive off our lot in a car that you can’t make payments on. We will work with you from the very beginning to ensure that you can afford your car, which is easy with our Chevy specials. From our online payment calculator to helping you determine whether leasing or buying would be best for you. We work with multiple lenders to get you a great deal and take your finances very seriously. We work hard, so you don't get caught in a bad deal that will cause your wallet to take a hit. Everything about what we do at your Chevrolet dealer near Madison, WI is about our customers. Just take a look at the Ewald Advantage. Visit our dealership in Oconomowoc, WI to explore our range of new and used cars near Madison, WI. Once you step through the doors of our Chevy dealership near Madison, WI, you will experience friendly and helpful customer service. Our sales and finance teams will make your buying experience easy, enjoyable, and hassle-free. Ready to finance your next vehicle with GM Financial and our great Chevy lease specials? Schedule a test drive and get pre-approved. We are ready to work with you and find you the perfect Chevy car or truck.